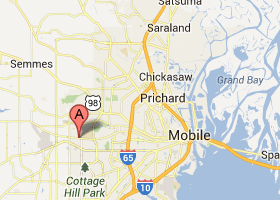 Assisted Living in Mobile AL: Transitioning Someone with Dementia to Assisted Living: What Do You Say? Mildred was 78 and had been diagnosed with dementia more than five years ago. During that time her family was her primary support. Her husband had been great to her, but he passed away more than three years ago. Two adult children, some other family, and wonderful friends had stepped up to increase the level of support she received. However, everyone began to realize that assisted living, or specifically memory care assisted living, was a far better option. They just didn’t know how to bring the topic up. Mildred was entrenched in her home. She had lived there for more than four decades with her husband and memories surrounded her. Her family worried that taking her out of this environment was going to cause a tremendous amount of stress and anxiety from which she may not be able to recover. They failed to realize that memory loss was going to progress and the challenges for her keeping track of things was going to be monumental. She may have wanted to stay where she was the rest of her life, but that may no longer be practical, even with dedicated professional support services. That’s because Mildred spends most of her time alone. Assisted living offers many benefits to seniors that stretch far beyond just a comfortable environment. 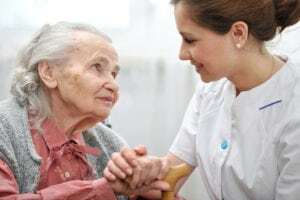 One of the most significant, especially as it pertains to memory care assisted living, is the experienced staff members who can provide a wealth of support services, including basic reminders about activities taking place, medications the elderly resident has to take, and comfort when they are confused, stressed, and anxious due to memory loss. She would also be surrounded by other seniors. Human beings are social creatures and were designed to be surrounded by others. With Mildred living alone, even though she had family and friends visiting from time to time, it was causing undue stress. By choosing a memory care assisted living community, Mildred would be surrounded by others who share common interests and some who may even be facing similar challenges. So, what can family tell her? What can they say to bring up this topic? They can first talk about the things she might be missing. Discuss friendships, activities, and being surrounded by other seniors. That may be a wonderful benefit she has thought about herself, but didn’t want to bring up. When Mildred’s family finally brought up the topic of assisted living, they were actually surprised to learn this was something she had wanted to pursue for a while. If you or an aging loved one are considering assisted living in Mobile, AL, contact Ashbury Manor Specialty Care and Assisted Living at 251-317-3017.